Getting to know those you work with and both the ways they enjoy being recognized and the types of employee recognition awards they’d be most thankful for ensures all types of employee recognition you execute are relevant and meaningful to the recipients. Having gifts and awards on-hand to give out is great, but use these employee recognition ideas to make shows of gratitude much more effective for your business. Private: Some individuals prefer recognition to be a one-on-one affair, with recognition done privately by one’s manager. A quieter interaction that includes examples of what the employee did to be recognized, delivered by someone the employee respects and who was directly impacted by the work the employee did, can be very meaningful and may be preferred by those who are uncomfortable being lauded in front of large groups. Small group setting: For team players who go above and beyond to contribute and who work closely in a small team, recognizing the employee in front of the group that knows the employee well and that was impacted by the employee may be appropriate. Employees who have gotten to know certain co-workers on a deeper level may appreciate recognition in front of them but shy away from a company-wide recognition display. Large event: Some employees relish the opportunity to be recognized in front of as many people as possible. These achievement-minded individuals may greatly appreciate being in the spotlight at an annual company party or at an all-staff meeting. They may enjoy being introduced publicly to other employees they may not have worked with yet, or appreciate being recognized in front of the company’s top executives. The best way to find out what type of recognition employees would most enjoy is to ask them directly. Get this information easily by making it a part of an employee intake form that they fill out when they first begin working for your company. Make sure managers check in on recognition preferences during annual reviews so you stay consistent. What are your hobbies or interests? These answers can help to clue you in to employee recognition gift ideas the employee will enjoy using. What name do you like being called? While this obviously helps in daily interactions, it will also make engravings or addressing the employee by name in a speech or in a card more appropriate. Who do you want to receive praise from? Answers may range from the CEO who has a pulse on the entire business, to a manager who works with the employee daily, to a team that is directly impacted by the work the employee does. What type of recognition would make you happiest? Maybe the employee prefers a gift they can use for personal development, like a journal or book, or would be grateful to receive a trophy or award they could display. You should also ask the employee what the best recognition they ever received was, which can give you lots of clues into answers to the previous questions. The act of asking employees about recognition preferences in itself signals to your staff that you are invested in their achievements and want to recognize them accordingly. 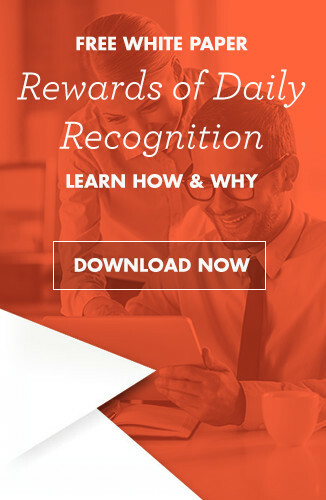 Once you’ve surveyed employees on the type of recognition events they enjoy and employee recognition gift ideas that would make them happy, make sure you build employee recognition into your schedule. Mark dates like Employee Appreciation Day down on a calendar, but also empower management and executives to regularly recognize great work in ways that thrill employees. Doing so will show employees you listen to their concerns and care about their happiness at work. 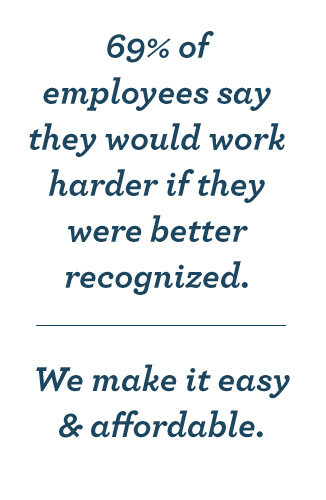 Successories has all types of employee recognition ideas for any ways employees want to receive recognition. From stunning glass awards to inspirational office supplies to beautiful cards for handwritten notes, you’re sure to find gifts all your employees will enjoy.